The festive season is upon us. Whether you’re an early adopter where Christmas is concerned, or prefer to save it all for one magical week at the end of the month, you can’t fail to get caught up in the excitement once you’re in London. 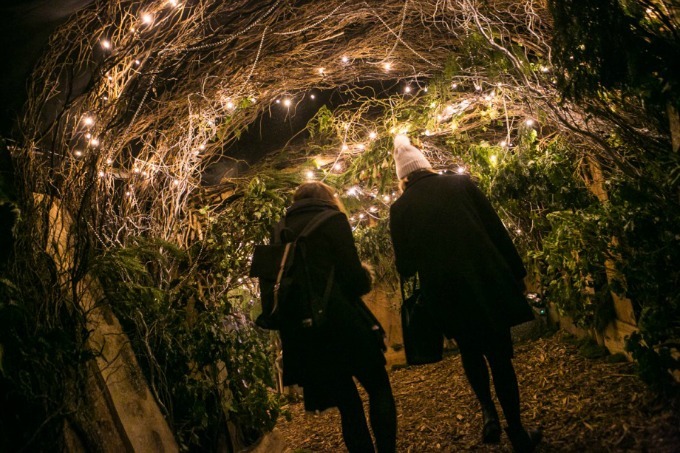 Festive events and installations have been popping up around the capital, with more added every year. But which is best for your family? Here we give you a taste four of the biggest Chrismas events for families in London. Without a doubt the winter venue with the biggest online buzz at the moment is Lapland UK, just outside London, in Ascot. 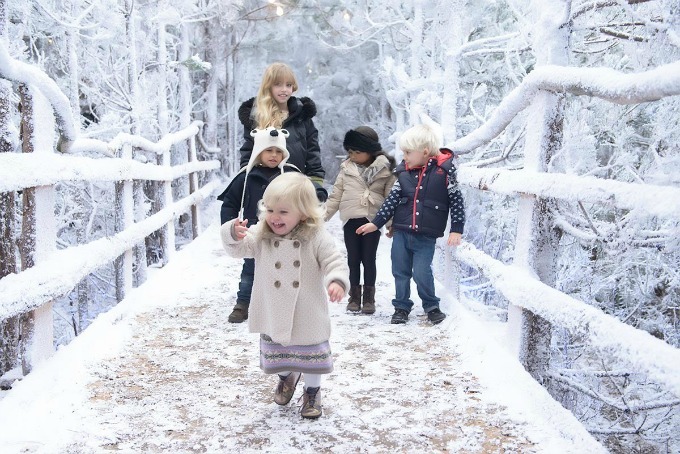 If your idea of a magical Christmas involves a visit with your children to Lapland, but it’s just not something you can spare the time or the cash for, Lapland UK definitely ticks the boxes of winter magic for younger children. We’ve read several reviews that testify to the authenticity of the Santa experience, complete with craft activities, ice skating, and a story with Mother Christmas. The enthusiasm of the reviewers will make you want to add this to your pre-Christmas list, and although pricing sounds steep, at £74 per person in November (prices increase as Christmas gets closer), it might be worth considering for the sake of the theatre of it all. Read Alison’s review, and Katy’s take on it, for two different opinions. Then visit Lapland UK and decide for yourself. Winter Wonderland in Hyde Park has been running for several years now, and is probably the biggest Christmas attraction in London. Taking over a large part of the park, it’s free to enter, so if you just want to browse the Christmas markets and soak up the atmosphere, it’s not costly. But we’d place bets on older children wanting to ride the full-scale fairground attractions, as well as take a turn on the ice-rink. It gets extremely busy, so if you’re visiting with younger children it might be best to try and go in off-peak times. 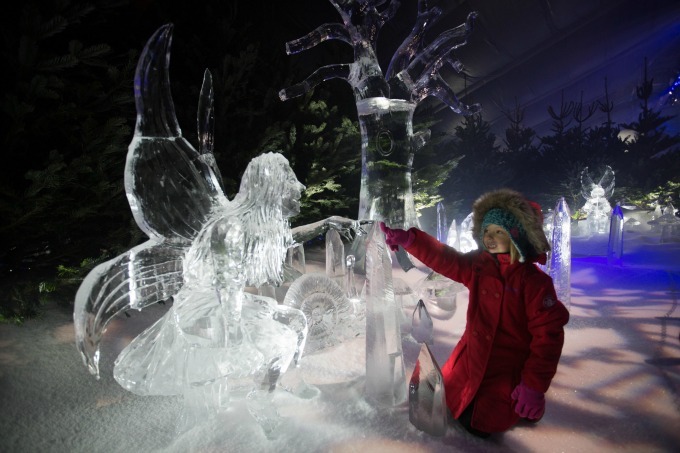 In addition to the general fun, you can also book tickets to Zippo’s circus, or delight in the magic of the Ice Kingdom, a (very cold) palace of ice-sculptures that is is stunning to see. Plan a hot chocolate afterwards though! For tickets and more information visit hydeparkwinterwonderland.com. 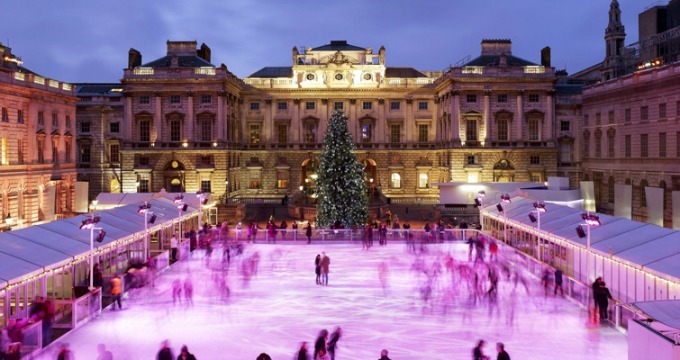 A visit to Somerset House is an iconic addition to the Christmas to-do list; picture those romantic scenes at the end of Christmas-in-New-York-style movies, and this is the UK equivalent. But it’s not just the glamour of floating round a rink in the Strand that makes this a best for grown-ups experience (children are allowed onto the rink, and you can definitely get a hot chocolate). It’s all the add-on’s that might make you want to plan a parental night off: “Skate Extra’s” include Champagne & Chocolate Truffles, Wine & Fondue for Two, or Champagne & Smoked Salmon Blini, all served in Fortnum and Mason’s on-site Lodge. Then there are the Club Nights, with top DJ’s keeping you motivated on the ice. Visit Somerset House for more details. Smaller, and billing itself as more intimate than Winter Wonderland, is Winterville, in Victoria Park. But that doesn’t mean it’s any less fun. There is a creative emphasis on this festive experience, with face-painting and craft workshops as well as a specific children’s Christmas market. The Moscow State Circus is in residence, and Winterville has a pantomime, which for 2015 is Snow White. There’s also a ‘Backyard Cinema’ showing all your favourite Christmas films in the run-up to the big day. Skating, fairground rides and Santa are there too, of course. Check out winterville.co.uk. Which is your favourite? Have you visited anywhere else you’ve loved? Tell us in the comments. And Merry Christmas from the Space In Your Case team!